5 Helpful Pointers For Trying To Monetize Your Hobby | Be "Noticed"
5 Helpful Pointers For Trying To Monetize Your Hobby. Obvious, right? Nevertheless, the place to start is skill. 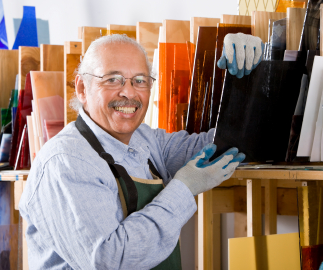 No matter what your hobby, make sure you demonstrate quality and the expertise of a professional. The key to convincing someone to give you money for anything other than your birthday is making sure you actually know what you’re doing and produce products that are high quality. People work hard for their money, so you will have to work equally hard or harder to convince them to spend it on your product or service. Oh no, business terms! This is supposed to be about hobbies, right? Where many people get lost trying to make money off of their passion is the difficulty in making something you love into something you have to think about as a business. For some, when you stop being able to choose to do your hobby for fun and you have to do it to fill customer orders, the enjoyment flies right out the window. Finding a market is simply a matter of finding a way to reach other people who enjoy the same hobby. Sure, it is ok start with people you know, but be ready to branch out if you really want to see fruitful results. As a hobbyist, odds are you’re already connected to others who share your interest, which hopefully means communicating with them. If for some reason it doesn’t, change that. Share your ideas and what you’re doing. You’re likely to get some new ones, and generate some interest in your endeavor at the same time. Succeeding is standing out. People get beat over the head everyday by demands to shell out. Even with the array of unique venues to promote whatever it is you want people to pay for, others are tying the same things. A unique approach or look helps you stand out. Your ultimate goal is to show your fellow hobbyists something they just can’t live without. Get them to come to you. Think outside the norm to get them to do it. Indulging in an online shopping binge with your newly earned treasure trove is tempting, but never forget to reinvest in your hobby. Maybe it’s buying higher quality equipment, or investing in some extra space storage. No matter the specifics, pick investments that are actually useful in keeping your hobby lucrative and fun. Explore new outlets or learn something new. Even a little extra dough makes hobbies all the more fun.